An integral component of any process gas system is a compressor to ensure the continuity of gas supply. Compressor failure or maintenance downtime can have dire consequences.GD Belliss & Morcom understand this basic fact, which is why our compressors are designed for specific compressor applications within the process industry. Continuous technological advances have created easy to maintain compressors capable of unmanned operation with low noise output. 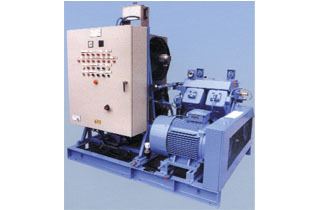 Our compressors are rugged, require minimum maintenance and are, above all, reliable.